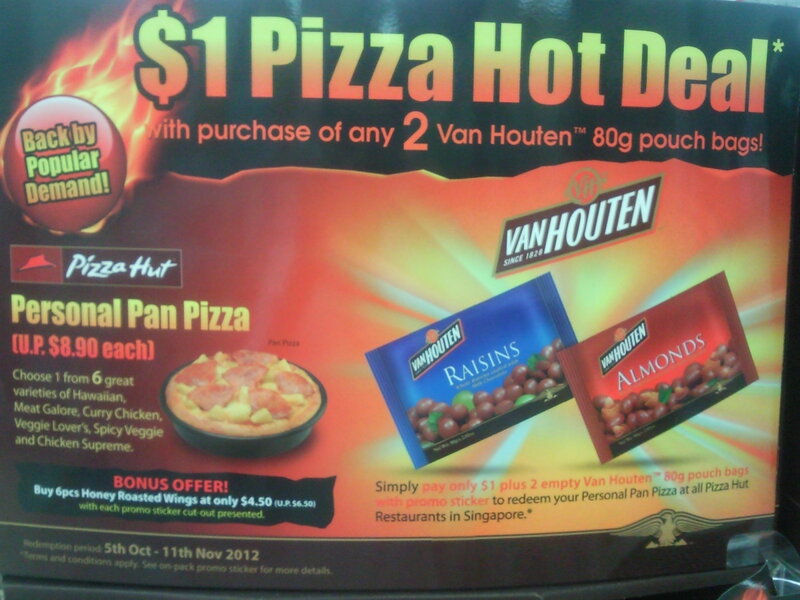 Flyers Advertising: S$1 Pizza Hut Hot Deals with Purchase of any 2 Van Houten 80g pouch bags! 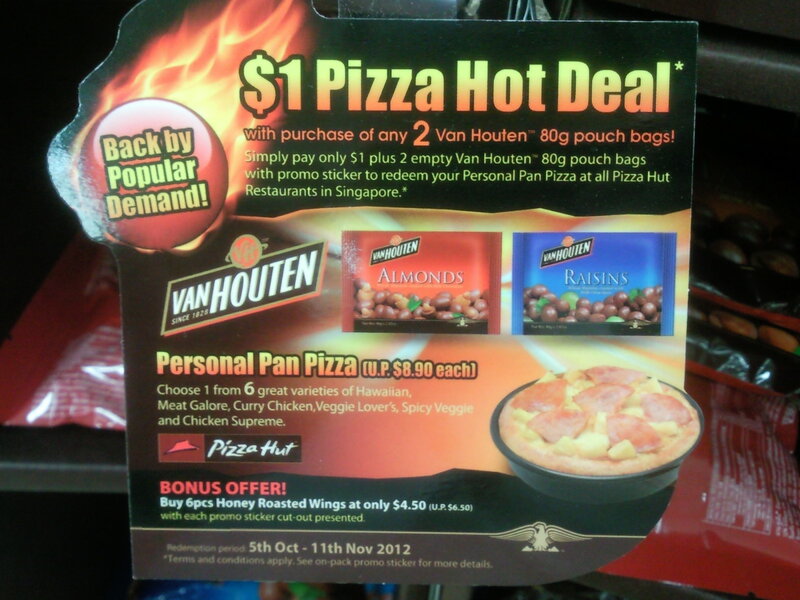 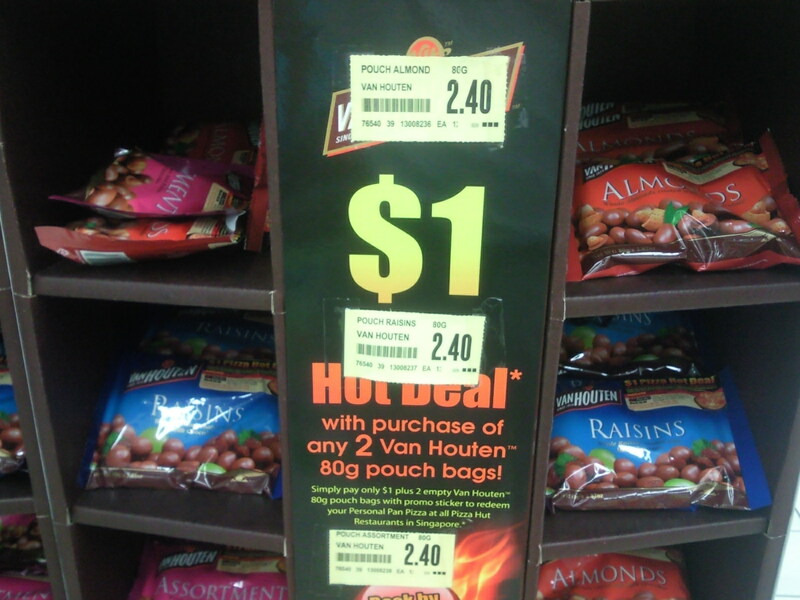 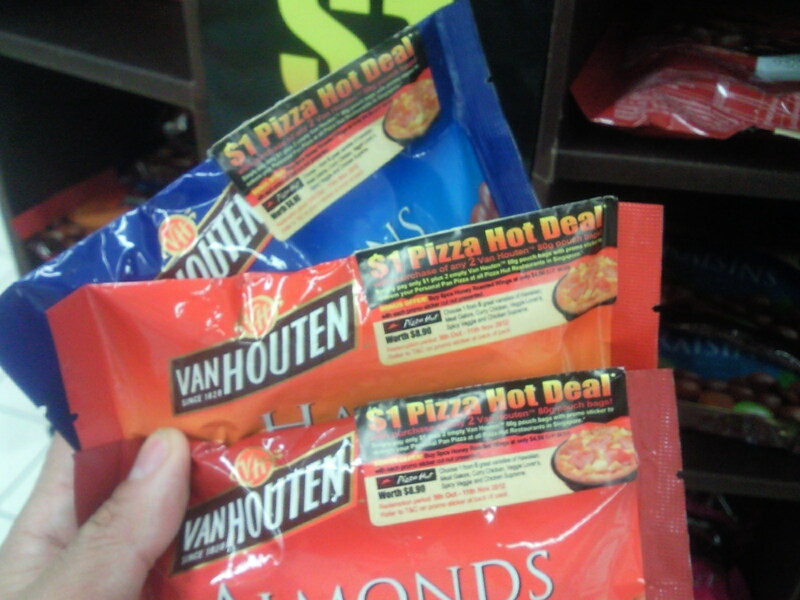 S$1 Pizza Hut Hot Deals with Purchase of any 2 Van Houten 80g pouch bags! 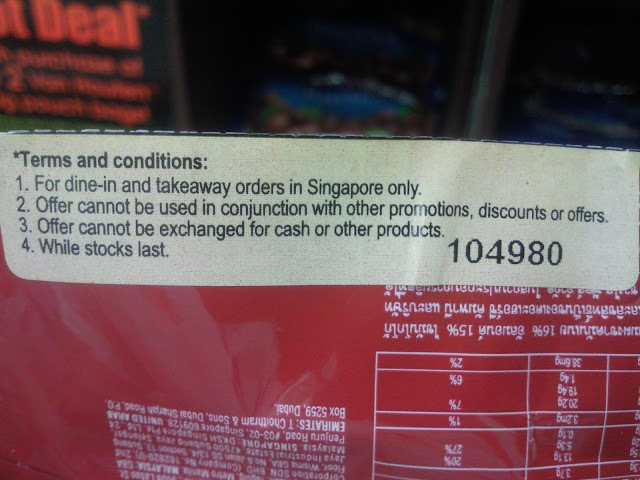 For dine-in only and takeaway orders in Singapore only. Offer cannot be exchanged for cash or other products.